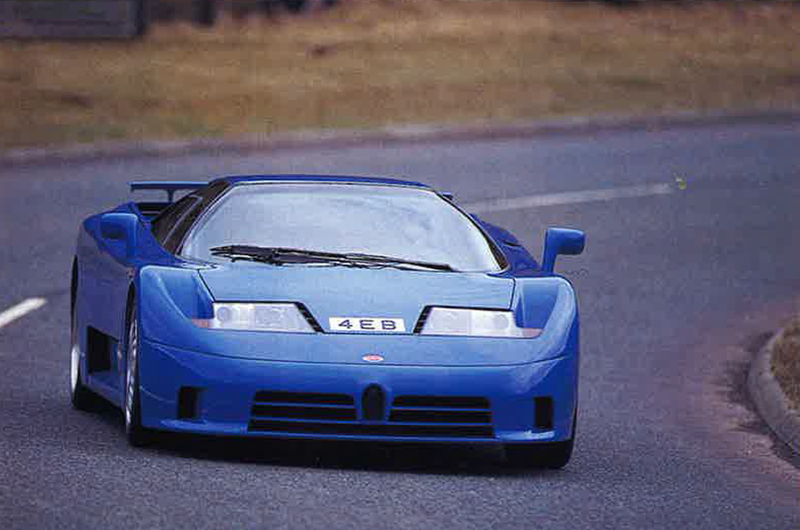 An American company has resurrected the 26-year-old Bugatti EB110 as the SP-110 Edonis Fenice. 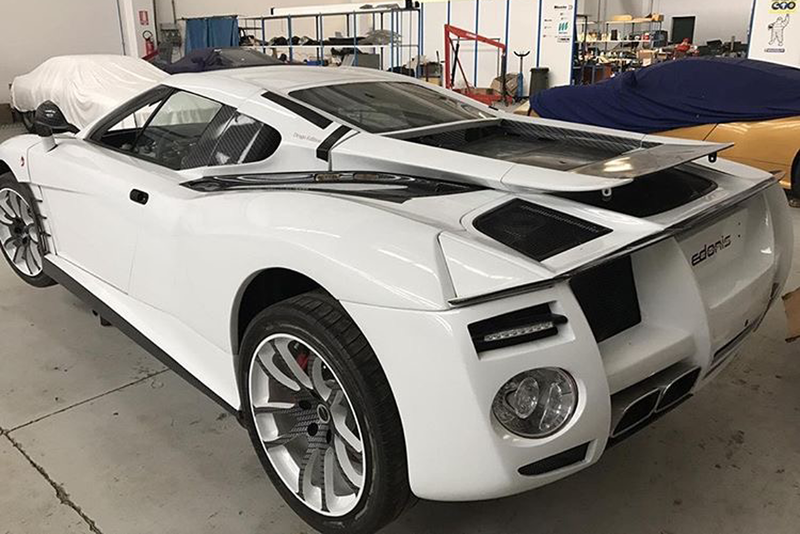 Casil Motors, which describes itself as "a manufacturer specialising in ultra-exclusive, bespoke, tailor-made supercars", is planning sell 15 examples of the SP-110, priced from around £600,000. The SP-110 is itself an evolution of the B Engineering Edonis, which was created by a group of ex-Bugatti employees in 2001 after the Italian iteration of the famous brand went bust in 1995. Casil bought the rights to the Edonis last year. B Engineering's aluminium-bodied Edonis was based on a modified version of the EB110's carbonfibre monocoque chassis, a batch of which had been purchased from the old Bugatti factory, and was powered by a 720bhp, twin-turbocharged 3.8-litre development of the Bugatti's 550bhp, quad-turbocharged 3.5-litre V12. 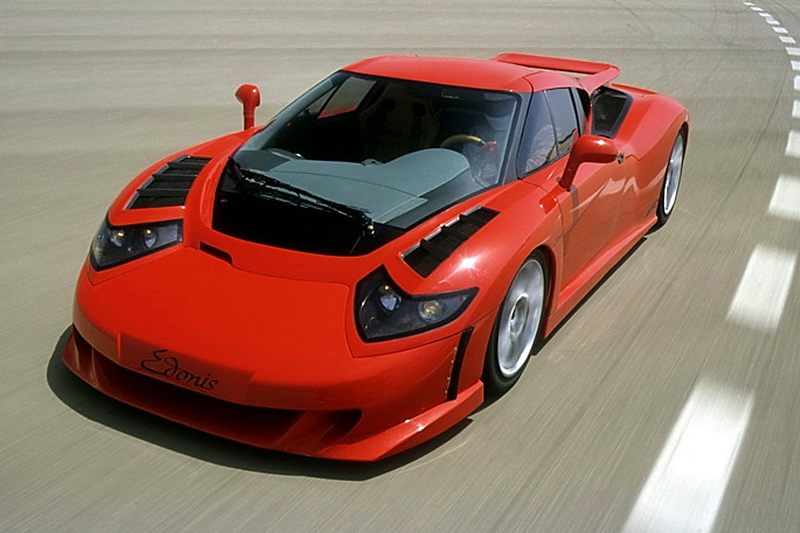 In addition, the EB110's all-wheel-drive set-up was ditched in favour of rear-wheel drive. Like in the EB110, drive was sent through a six-speed manual gearbox. The car's lead engineer was Nicola Materazzi, who has an illustrious CV including design work on the Lancia Stratos, Ferrari Testarossa, Ferrari F40, Ferrari Formula 1 cars and the EB110. Modena-based B Engineering planned to produce 21 examples of the Edonis, but this never came to fruition. The company continues to this day to provide servicing for EB110 owners. Now, Casil Motors is funding the production of the SP-110 at B Engineering's facility in Italy. It describes the new version as "the ultimate analogue supercar". The SP-110 will be built on never-before-used, fully homologated, Bugatti-produced EB110 chassis, and power will come from B Engineering's 720bhp 3.8 unit. The company claims a 0-60mph time of 3.4sec, a 0-100mph time of 8.2sec and a top speed of 220mph. Buyers will be able to work with B Engineering to create a bespoke interior. A range of exterior paint colours, including original EB110 options, will be offered. They will also be able to choose from Materazzi's original Fenice design (pictured in red) or the "aggressive and modernised" new Rinascita bodystyle (pictured in white). The Rinascita adds front louvres, a rear diffuser and additional carbonfibre components, which are said to give "increased performance and handling". Casil Motors is now taking $2500 (about £1750) deposits for the SP-110 Edonis Fenice. I presume the word 'Bugatti' will NOT appear anywhere on the documentation or bodywork, making it nearer to a kit car than a Bugatti legend. ...has a very sad looking 'face'. Well we finally have the answer to the question of what's the ugliest car in the world ever? The EB110 was always a right awkward looking beast, especially compared to the XJ220, XJR15 (oohhh...), F1 and F50 etc... The current crop of Senna (urgh...) RB Aston, Merc 'thing' etc... are no lookers in comparison to those beauties but this thing is in a world all by itself. It's a modern day freak show. What kind of zoomer would pay over £600k for this. I'm in the wrong line of business. The red one in indeed looking very sad about something. It could be that it has seen its reflection in a window? Or it could be the utterly cheesy name? Oh dear. I cannot imagine who would buy one of these. It’s hideous. Looks like a kitted Audi R10 from some angles, very much a limited run Car though. What have you been drinking, Peter?